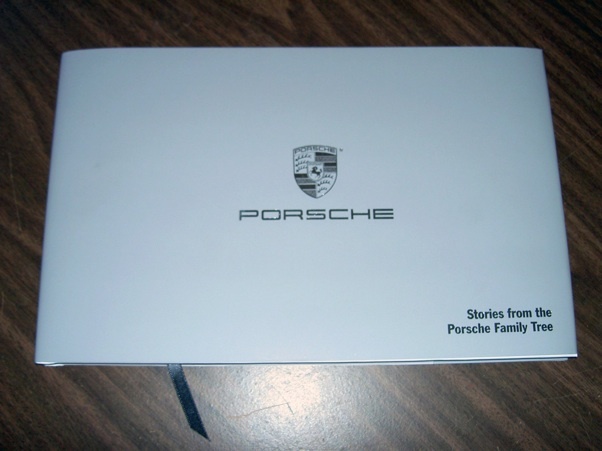 Some time ago, Porsche decided to put up a new website called Porsche Family Tree, a place where people could post and share their own individual Porsche Stories. As soon as I learned about it I posted mine. 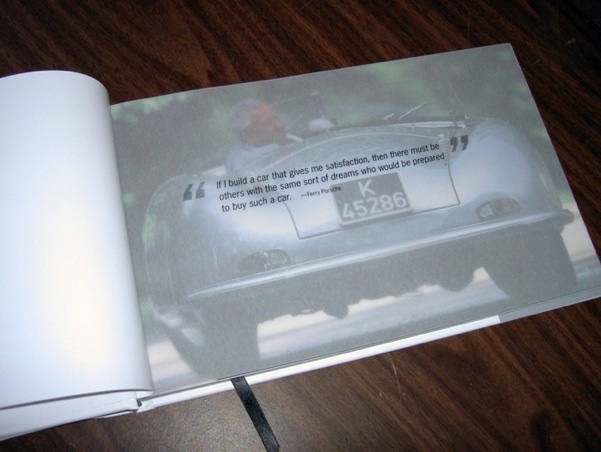 Some months later I received an e-mail from from Porsche Cars North America (PCNA), from their Online and Relationship Manager who told me that they (PCNA) had decided to select a few of the stories and make them into a limited edition book, which would be sent to the Porsche Family as a memento. He also told me that every one of the authors of the selected stories would receive a book, and that only 1000 would be printed. 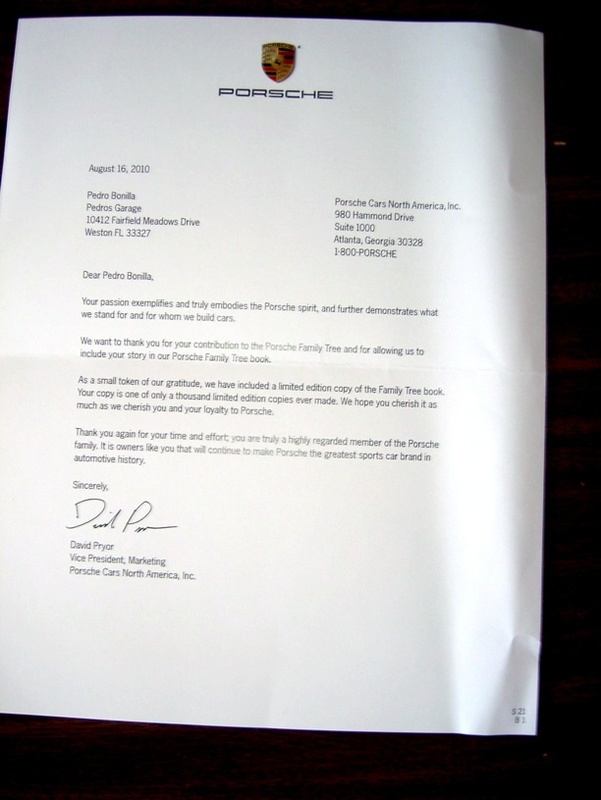 It is a very nice gift from PCNA to the Porsche Family and to the authors of the selected Stories.